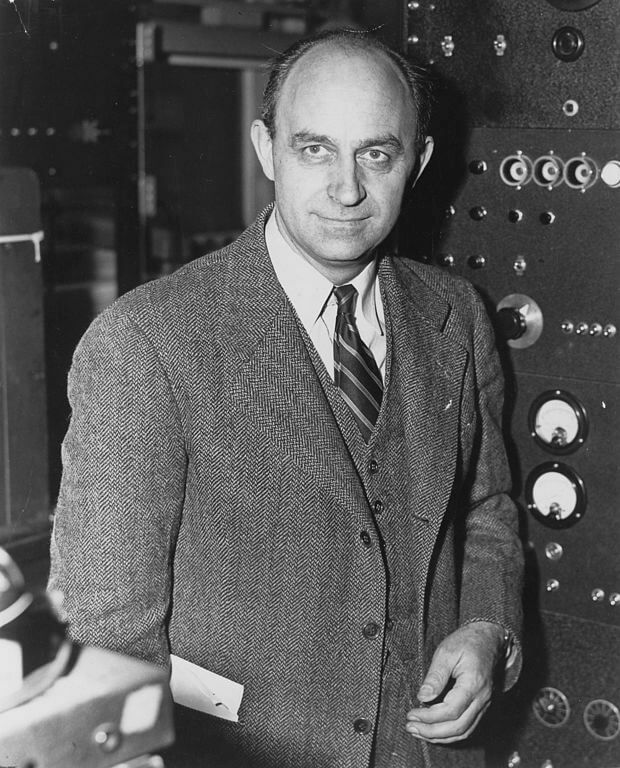 November 28th marks the passing of Enrico Fermi. Fermi was an Italian physicist who made many advances in the field of nuclear physics. He was awarded the 1938 Nobel Prize in Physics for producing radioactive elements through the bombardment of slow neutrons. During his trip to Sweden to receive his Prize, he took advantage of the situation to move his family to the United States. He became one of the members of the Manhattan Project working on the first atomic reactor. In the squash courts under Stagg Field of the University of Chicago, Fermi supervised the design and building of the world’s first self-sustaining “atomic pile” that produced energy from controlled atomic chain reactions. The reactor consisted of bricks of carbon graphite with uranium with cadmium-coated rods to control the number of neutrons produced by the reactions. On December 2, 1942, Fermi’s reactor reached critical mass and was allowed to continue the chain reaction for 28 minutes before being shut down. Building the first atomic reactor in a major metropolitan area shows a level of confidence in your theoretical calculations not found in many people. His achievement was a significant milestone in the history of atomic physics. Element 100 is called fermium in his honor. 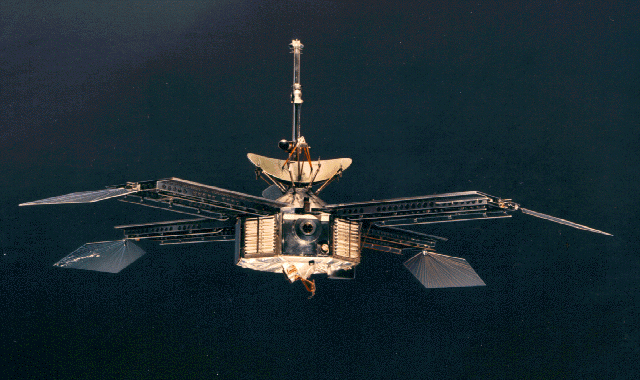 1964 – NASA’s Mariner 4 was launched. NASA’s Mariner 4 spacecraft was launched from Cape Canaveral on its way to Mars. It was the first spacecraft to approach the planet Mars and send back pictures of the planet’s surface. Mariner 4 sent back 22 pictures that showed impact craters and vast stretches of barren terrain much like the Moon. It was later learned the terrain mapped by Mariner 4 was atypical of most of the Martian surface. 1954 – Enrico Fermi died. 1950 – Russell Alan Hulse was born. 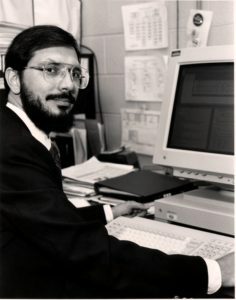 Hulse is an American astrophysicist who shares the 1993 Nobel Prize in Physics with Joseph H. Taylor Jr. for the discovery of binary pulsars. A pulsar is a rapidly spinning neutron star that emits radio bursts at regular intervals. Hulse and Taylor discovered an unusual pulsar that appeared to be a pulsar with a neutron star locked into a tight orbit together. Further investigation showed the stars are rotating steadily faster around each other suggesting their orbits are losing energy in the form of gravity waves. This discovery is considered the first experimental evidence of the existence of gravity waves predicted by the general theory of relativity. 1876 – Karl Ernst von Baer died. Baer was an Estonian biologist who is considered the father of embryology. He was the first to isolate the mammalian egg cell. 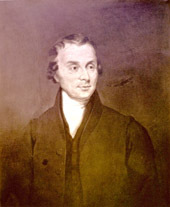 He was the first to show that mammals develop from eggs and outlined four laws of embryology. 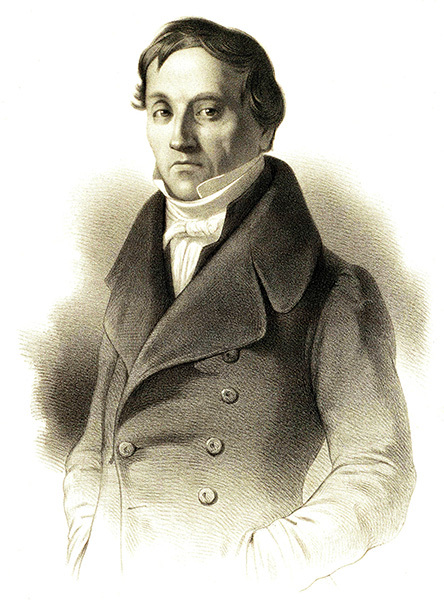 He also made contributions to geology and entomology. 1772 – Luke Howard was born. Howard was a British chemist studied the weather in his spare time. He published a collection of daily weather data for London from 1818-20. He is best known for introducing the nomenclature system used to describe clouds. The terms cirrus, cumulus, and stratus were first used by Howard. He also introduced the terms used to describe the transitions between these cloud formations.